We often see the sharks (in Shark Tank) not too happy about investing in a product where customer education is required. 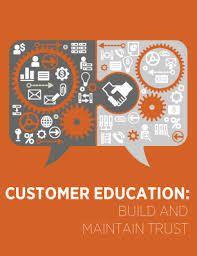 Customer education refers to making potential customers aware about the product features, usage and benefits. The reasons why the sharks shy away from startups requiring customer education are the following. Money – A sale is a process which results after a series of steps. First a potential customer is made aware of the product. Then the use cases and benefits are explained. In the case of new products, repeat visibility is required to stay in the mind of the customer when a need arises. Eventually trust Is built and this results in a sale. This entire process requires a lot of investment of money by a startup. Time – Along with money, this sales process is time taking. A longer time period tends to reduce the ROI of the business. Hence investors mostly prefer to invest in startups which operate in a market which is established and customers are aware of. Growth of a new startup tends to be faster in such a space.